I live in the middle of nowhere, the local bookshop isn't really local at all, and there are more elderly people here than teenagers, so it's no surprise that YA authors rarely come to visit. I snapped up a couple of tickets immediately and soon enough it was April 18th and time for the event. The festival was in the union, hidden away down a little path. We made our way to the Blue Room where the talk was being held and, yes, the room was actually blue. The talk began, and here's a tip: don't make notes on a touchscreen phone if you're not actually looking at what you're typing most of the time. It'll take you ages afterwards to work out what you actually wrote. 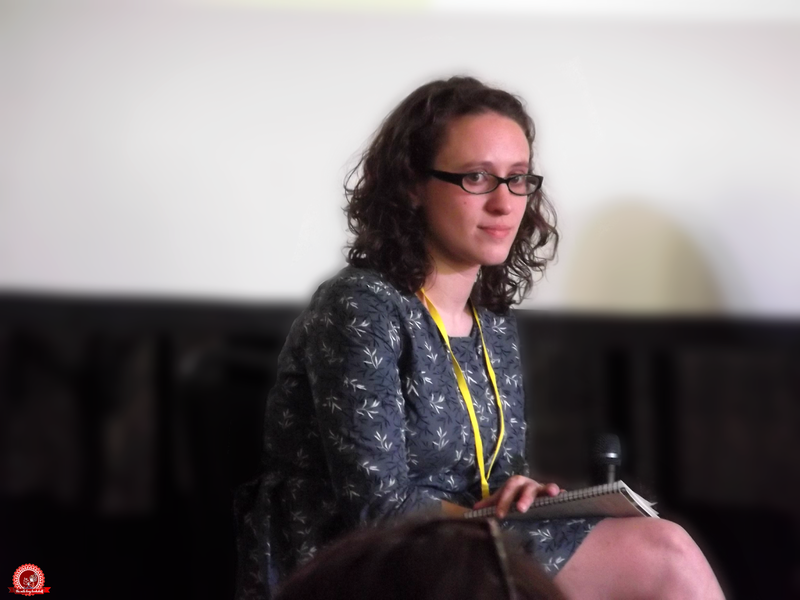 The talk was chaired by Charlotte Eyre from The Bookseller (above) and I made sense of my own notes eventually. Here's a quick recap of what happened. Where does their inspiration tend to come from? James writes what he wanted to read as a fifteen-year-old. He wasn't interested in shows like Grange Hill or Byker Grove because that was his life on a daily basis. Instead, he liked things like Beverly Hills 90210 because of the escapism it offered. 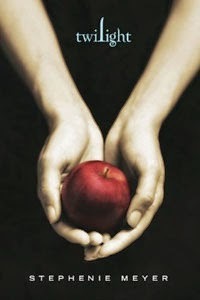 Sally wrote Half Bad whilst everyone, including some of her adult friends, were reading and enjoying Twilight by Stephanie Meyer, despite the YA label. That partly inspired Half Bad, although she didn't want to write about vampires because she felt that side of things was being covered pretty well already. Do they originally set out to send a certain message with their books? Sally doesn't set out to give any specific messages through her books. The message has to be important to the characters, not necessarily to her. James wrote Under My Skin when Miley Cyrus was constantly in the news. He thought it was interesting that she's a millionaire but still had to resort to twerking and licking sledgehammers. "Why doesn't Ed Sheeran have to lick a sledgehammer?" He was thinking about feminism a lot, and so it ended up filtering down into the book. What do they think the difference is between UKYA and USYA fiction? James thinks that both US and UK YA are phenomenally diverse. He doesn't think UKYA is grittier and he doesn't think USYA is more fantastical - both are great. Sally agreed. She's a big fan of Andrew Smith and thinks he's writing "new, innovative stuff." She tends to enjoy books by American authors more, but that's not hugely important to her - if they're good books, she'll read them. James said that the US is able to put more money behind their books because there's more money in the market in the first place. Here in the UK, we always hear about books in the US, but they rarely hear about ours. I've been noticing this, too, but didn't know how to put it into words, so I'm glad that that topic came up. Half Bad by Sally Green is narrated by a teenage boy called Nathan, but she finds writing as a teenager harder than writing as a boy. James said it's fun to mix things up a bit like that - otherwise it's always the same person, just in different situations. "If you're not challenging yourself with everything you write, why bother?" What were their journeys to publication like? 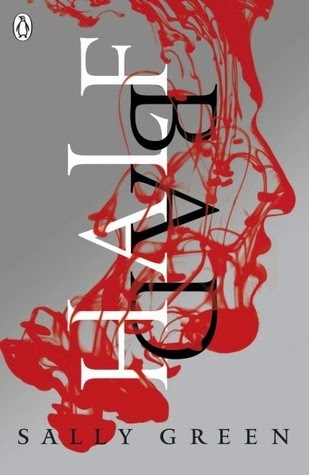 Half Bad was the first book Sally had ever written, and she didn't think it would ever be published. Her agent didn't think it was edgy enough, so she rewrote it completely and never knows whether to call it her first or second novel because it's set in the same world. 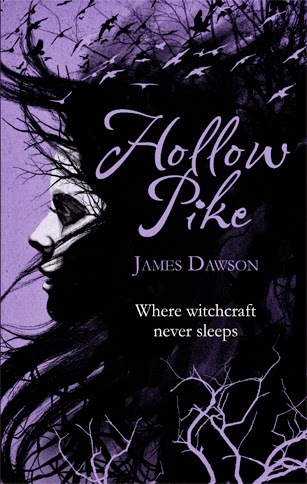 Hollow Pike was also James's first book. It was supposed to be a series, but just as James was about to start working on the second book, Orion changed their minds due to the fact that they were having trouble with a different trilogy at the time. Even though this meant he only had three months to write Cruel Summer, it worked out for the best because he's had so much fun writing everything he's written since. If the series had gone ahead, he would still be writing that. Now they're both published writers, what's changed? Since publication, Sally's writing process has changed completely. 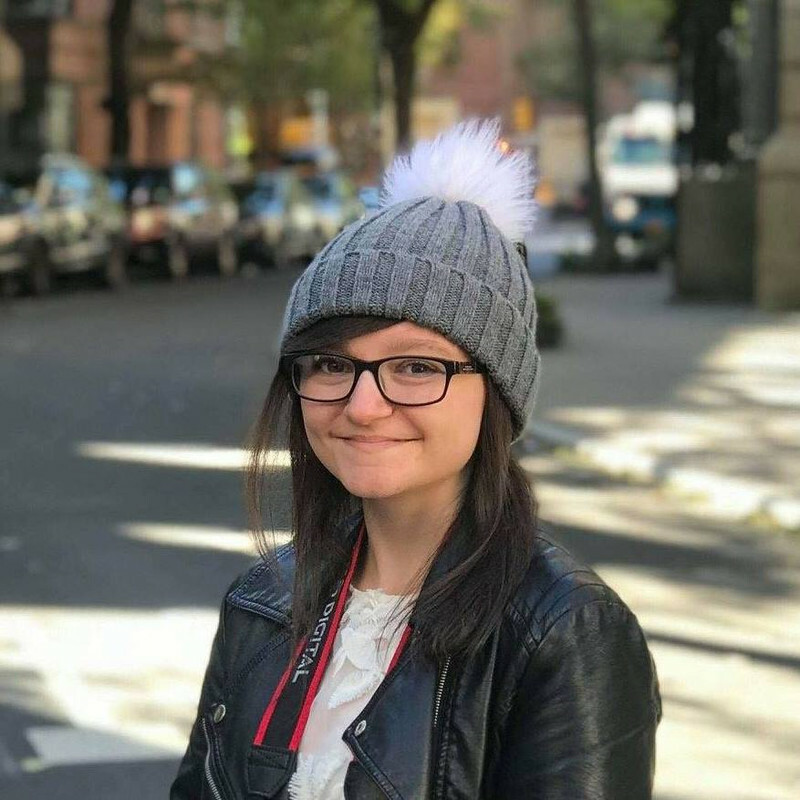 With a first novel, you tend to have as long as you like to write it, and so she didn't plan Half Bad - instead, she would write about 2K words a day and then work out what happened next. For the final book in the trilogy, she is going to plan and have more meetings with her editor. Next year, James has a non-fiction title being published called Mind Your Head. It's about teen mental health and I'm really looking forward to reading it. He didn't have long to write it, like he did with Hollow Pike - it was written in ten days with the help of a psychologist to make sure it was factually correct. He came back to it about a fortnight ago and doesn't remember writing any of it - it's a blur. Sally chose Catcher in the Rye by J.D. Salinger because "it's a stunner of a book." Sally thinks the 'adult' in Young Adult should be emphasised. She didn't think Half Bad would be published, and was pleasantly surprised when it was. James is glad more horror is being written in the YA genre. He said that if you think too much about what's popular, you'll go mad. Publishers are already a couple of years ahead of what's in Waterstones, so write what you love and block everything else out. He likes to use flow charts and sticky notes to plan his books. The easiest to plan was Say Her Name because it takes place over five days. He loves Junk by Melvin Burgess and thinks it's one of the most powerful books in YA. 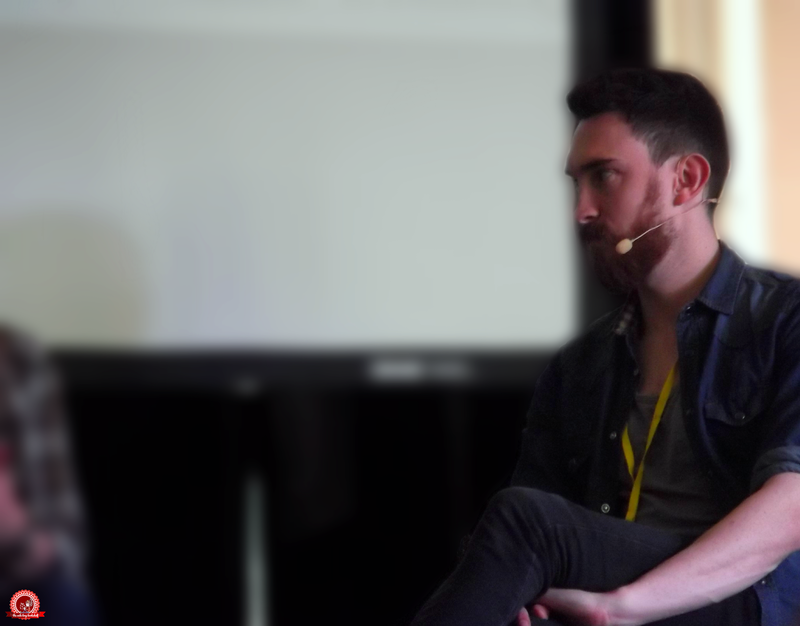 So, what's next for James Dawson and Sally Green? Sally is being pressured to write another fantasy novel but she started writing something that isn't fantasy on the morning of the event. She's wondering if she can write both at the same time. James has a new book coming out in September called All of the Above and it's about gender fluidity. After the event, I changed my clothes and took the photos I needed for my previous blog post. 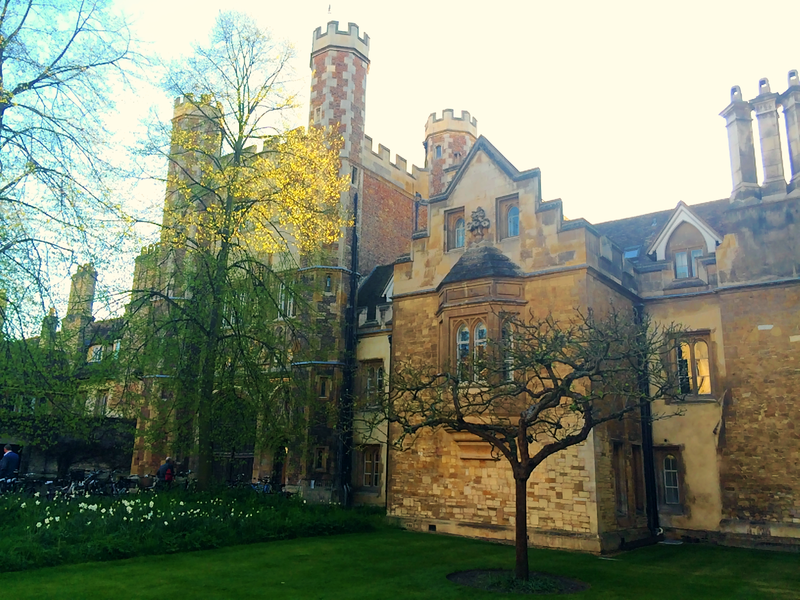 Then we had a wander, got fish and chips and ate them next to Isaac Newton's apple tree. As you do. 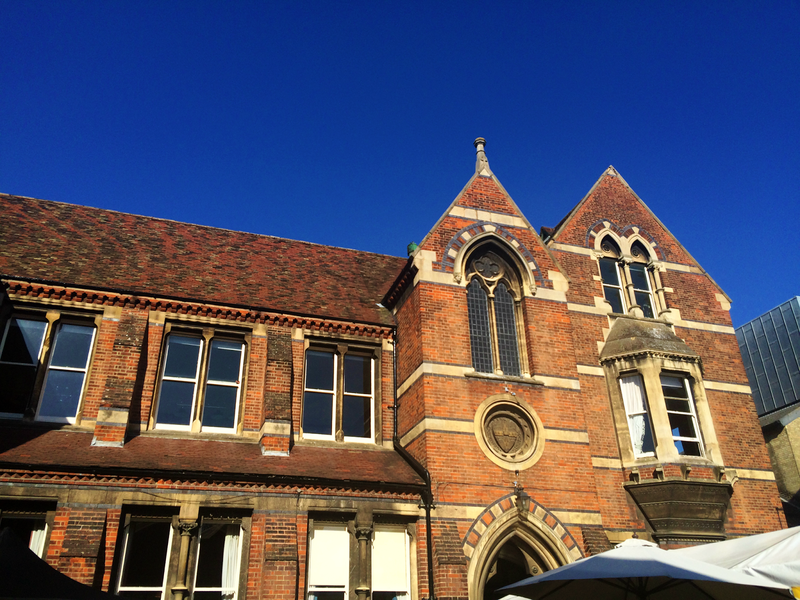 It was a gorgeous day, my anxiety wasn't too bad and the talk was really interesting. I'm so glad I went. 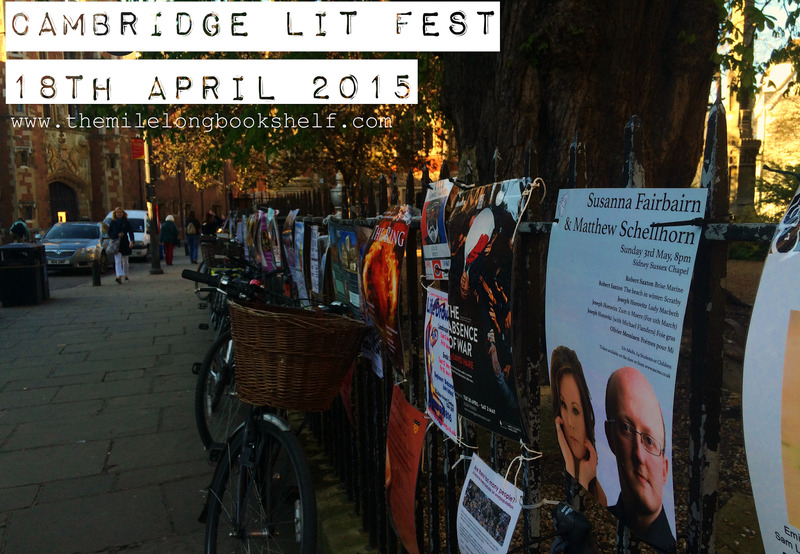 Now I just need to keep 6-10th April 2016 free for the next Cambridge Literary Festival. This was a great re-cap! I'm glad your anxiety wasn't too bad - I suffer from it too and have been putting off going to events like this, but you've inspired me to explore Bath's Literary Festivals later this year. thank you for making me be brave! A great write up! I really enjoyed the weekend and their talk was a highlight. Great photos too! In Ireland it's not that hard to find a festival of some sort somewhere, I've just never really gone to that many literary ones. 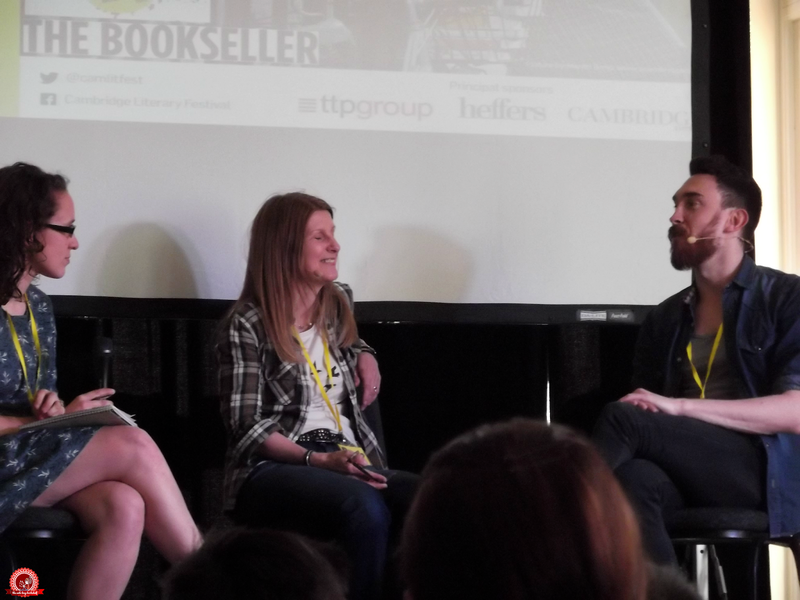 I did go to see Patrick Ness speak and do a book signing a year ago, which was great, but now that I have an interest in a wider ranges of genres I think I'll find it easier to find good book festivals to attend. I'm lucky as well because I only live about 45 minutes by train to Dublin city centre, so there's loads of stuff near me (Ireland is basically based around Dublin, even though there are loads of other great places). Anyway, enough about me! The event you were at looked great! I've heard of both of the authors somewhere but I haven't read anything by them but it was still interesting to read their responses. I especially find it interesting that they don't see any difference between UKYA and USYA. I'm not very widely read in YA, but from what I've encountered the UK stuff does seem a little darker, and slightly better written, for the most part. I love series like His Dark Materials and Mortal Engines though, so I'm biased. I also know feck all about YA, which is something I'd really like to change! The event looked really interesting and I'm glad you enjoyed it! 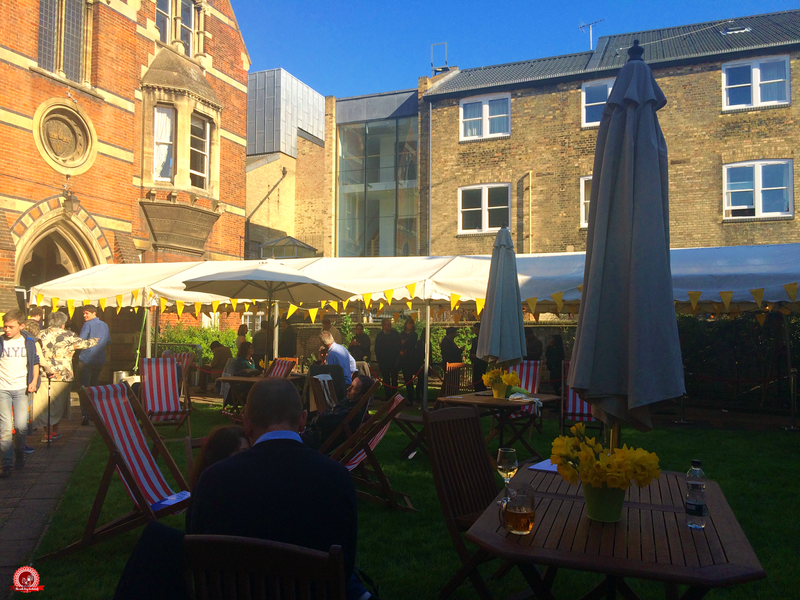 Literature festivals are awesome, aren't they? they are so addictive. I went to the Jaipur Lit Fest in India earlier this year and it was amazing. 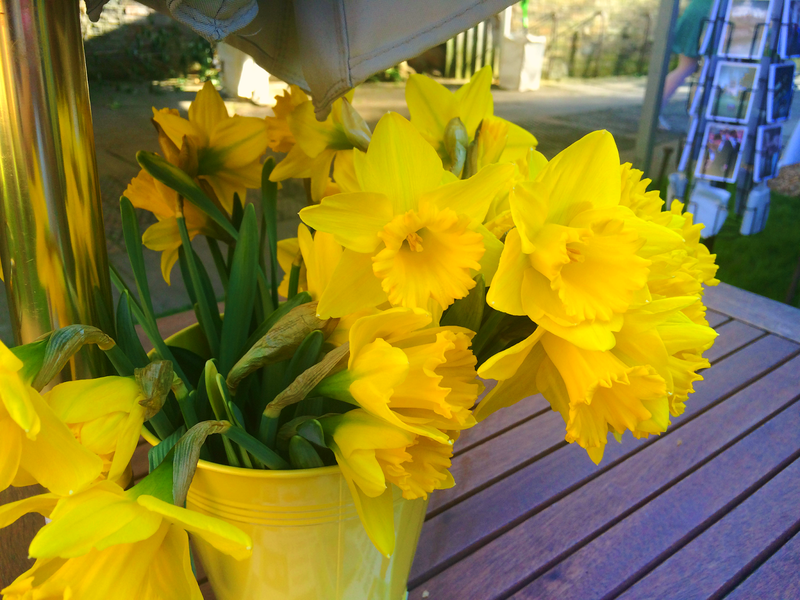 I am looking forward to the Sydney Writers' festival in May, it will be so cool.